Discover Key Secrets That Will Catapult Your Career! get in the way of producing your best, consistently. Everyone is gifted, but most people don’t ever 'unwrap' those gifts because of the mental and emotional obstacles, often unconscious, that get in their way, including fear of failure, anxiety, feeling overwhelmed, lack of confidence, etc. In order to release your untapped potential, you will learn how to recognize the self-limiting belief patterns that have prevented this potential from surfacing and move on to develop a champion mindset. As you can imagine, world class athletes have learned how to recognize the triggers that set off stress and how to manage them. In this program, you will learn exactly how to do that, thus building a major component of the champion’s mindset. Once you understand where you job-related stress, fears and anxiety come from, and you realize that you have the power to make significant changes in how you react to those stressors, etc., you can pivot both your career and life. This 5-week course will teach you how to master any stressor that comes with the financial industry territory by changing your mindset to that of a champion. Below are the learning objectives for each course module. ● Recognize the connection between beliefs and behaviors that sabotage a winning spirit. ● Identify negative patterns and their impact on a champion mindset. ● Determine strategies of a champion mindset. 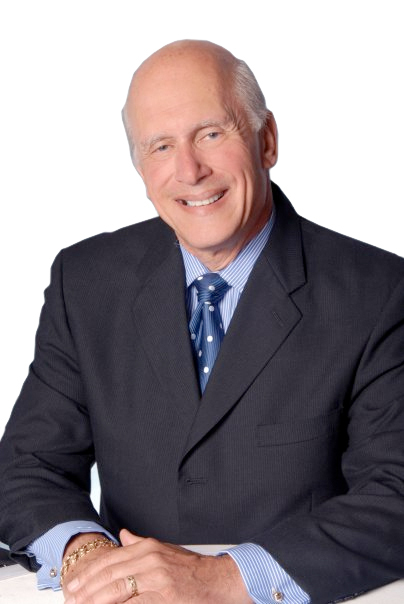 As a professional psychologist, Dr. Jack Singer has spent 33 years teaching Professional, Olympic and World Champion athletes how to be successful through developing the mindset of a champion. In 2008 he was invited to design a stress mastery video series for the Australian Financial Advisors Association and that was a pivot turning point in his career. In researching the financial services career fields, Dr. Jack decided to teach the same game-changing skills to financial professionals that he so successfully taught to elite athletes. Dr. Jack combines his sense of humor and professional experience to teach audiences how they can consistently bounce back from adversity, perform at their best under the most challenging circumstances, unlock their true potential, master their stress and supercharge their performance. Dr. Jack is a frequent guest on CNN, Fox Sports, ESPN, and the Glen Beck Show. He is the author of more than 185 articles in Financial, Business, Sports and Psychology periodicals and is the author of four books. He has served on the faculties of six universities, including an Assistant Professorship at the U.S. Air Force Academy. Access to 6 modules featuring video lessons, exercises and downloads, all created to set you up for success. Instant access to our Facebook group where you will be able to discuss your breakthroughs with the community. You'll have access to live streams with Dr. Jack where he will answer questions and share insights on course work. Feeling pressure to succeed without the self-confidence to do so. Who Will NOT Need This Course? As a special thank you, you'll receive two amazing bonuses! You will receive a voucher from WEBCE (the pre-eminent continuing education source for financial professionals). The voucher entitles insurance agents, CFPs, CPAs, enrolled agents and tax preparers to sign up for any on line continuing education course from their vast catalog of courses (for up to 12 hours of credit) for FREE. *Note: these credits may vary according to your state requirements. You'll receive a free digital copy of Dr. Singer's book entitled, The Financial Advisor's Ultimate Mastery Guide! With rich with examples, easy-to-understand concepts, and powerful yet simple behavioral tips, this guide explains how stress affects your health, how to proactively boost your psychological immunity, and how to maintain your optimism and successfully draw high-value clients into your practice and retain them, regardless of unpredictable markets and economic conditions.